Click here to download Sky Zone's job application. Please fill out completely and turn in to the park manager or email it to kalamazoo@skyzone.com! At Sky Zone we feel strongly about giving back to the community that supports us! For more information on fundraisers, donations or school reward programs, please click the links below, call us at (269)459-9243 or email us at kalamazoo@skyzone.com. Click here to download our Donation and Fundraiser Request Form. Click here to download our School Partnership Request Form. Do I need to bring in special footwear? At Sky Zone we keep it safe! At Foam Zone and SkySlam, we take turns so you are welcome to participate with your kids. When you FreeStyle jump on our main court we do separate by age/size for safety so you would not be in the same section unless your child is over 16. Ultimate Dodgeball games are seperated by age - 5 to 10, 11 to 15 or 16+. Walk-ins are welcome anytime, but we do have a capacity limit! Pre-purchased tickets for individuals and smaller groups are recommended in order to guarantee your jump time, and can be purchased on-line. Sky Zone offers multiple trampoline playing courts and a variety of programs. Check out our Attractions and Programs page! Why would you want to? We have plenty of delicious snacks inside! Exception: If you don't want to purchase an awesome Sky Zone ice cream cake, you may bring a cake to supplement your party package. Yes. 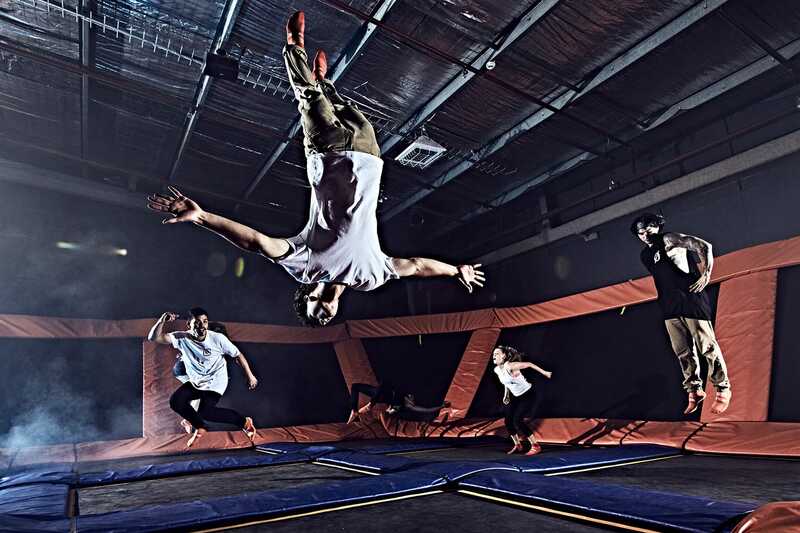 Every jumper needs to complete a liability waiver for each Sky Zone location. If you are under the age of 18, your parent or legal guardian must complete the waiver out for you, but does not have to be present when you visit the park. Waivers can be completed online. Our general rule is that waivers are valid for one year. However, for a variety of reasons, this cannot be guaranteed. It's always a good idea to call ahead to confirm your waiver is valid if you have any question. You must have the waiver completed for the Sky Zone park you are visiting (a Sky Zone waiver at one park is not valid at a different park). But don’t worry, you can complete your waiver online before getting to the park. We accept walk-in guests during all open hours of operation subject to availability. Reservations are HIGHLY recommended as jump times do sell out.